A good tweet peaks at 18 minutes. An evergreen blog post lasts for years. It’s crazy to see the disparity between two pieces of content that we all create on a regular basis. It’s a little reassuring, too, that some things we make online have a chance to endure. Having this long-lasting content on your blog and in your archives is a boon to traffic, social sharing, and more. Chances are good your site already has some evergreen articles, whether you intended to make them evergreen or not. These dependable performers are great to have around. I’m happy to share some ways to work more of them into your content strategy. Evergreen content is quality, useful content that is relevant to readers for a long period of time. I assume all of us are already creating quality, useful content by default. The key with evergreen then is that this quality content means something to a visitor who found the post the day it was published and one who happened upon it six months later. There is no specific length of time for how long evergreen content remains relevant. Some evergreen content lasts forever. Some lasts a year or two. As long as the post can be linked to and gain traffic long after it is originally published, it qualifies as evergreen. The draw of evergreen content, as Moz.com puts it, is continued, sustained success. Amazing content—evergreen or not—is highly likely to generate ongoing interest, engagement, links, and traffic, leading to increased sales/conversions and brand awareness. Couple amazing content with timelessness, and you start to see the value of evergreen. Traffic, engagement, and conversions don’t just peak once and then trail off. They grow over time. Here is a graph of what visits look like on a typical blog post—peaking on the date of publishing and dwindling in the days after. With evergreen content, you’ll find a graph like the one below, which reflects visits and growth long after the original publish date. Will people still read this and think it’s interesting a year from now? That’s the goal of evergreen. Evergreen content must hold its relevancy over time or else it risks losing its value. The Big Question—will this content endure?—is thankfully something you can control, to a degree, by taking steps to ensure that your evergreen content is set up for success. Keep creating amazing content, and follow these guidelines to make the amazing timeless. 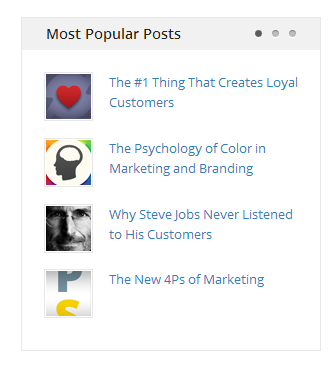 Your evergreen post will be the ultimate resource for the topic you cover. Be thorough, be complete. Spend more time on it than you would a typical piece of content. If being definitive means writing lots of words, then so be it. In fact, long posts might even come with an extra advantage. Posts 2,000 words or more are being highlighted on Google search results pages under the heading of “in-depth articles,” and these posts are getting the Page One treatment for searches. Copyblogger and Search Engine Watch have helpful guides for making sure your evergreen content is accessible for these high-profile Google spots. The definitive nature of evergreen content might seem like it lends itself well to experts. As Megan Marrs of WordStream points out, the opposite is actually true. Experts are less likely to be searching for help—your audience is primarily beginners, and you want to generate content aimed at them. With this in mind, it is important to avoid showing off your expertise on a topic by talking over the heads of your audience. Avoid technical language and complicated terminology. It is possible to be both definitive and write for the everyman. When possible, you can string together a handful of narrowed topics into a series. Write about related posts around a main subject, link these posts together (bonus SEO boost for internal linking), and voila! For instance, “How to Create a Facebook Business Page” and “How to Build Your First Facebook Ad” could go into a Facebook Business series. As long as the content serves the purpose of timelessness and quality, the post itself can take virtually any form. That being said, there are some common evergreen content post types that seem to work best. What is the opposite of an evergreen? A willow? An aspen? Call it what you want, these types of posts lack the longevity and timelessness of evergreen content, but they could still serve as helpful articles in a content plan. With all this great content to share, the question then becomes how. Leveraging evergreen content is where the things get fun—you get to reap the benefits of your hard work, again and again and again! Evergreen content makes for ideal fodder for Twitter, Facebook, Google+, and LinkedIn. The content is, if you followed the above guidelines, some of your best work. It can be Tweeted and posted more than the standard one or two times on its publish date. Some sites hide or remove the publish dates on their posts (a hot debate to be sure—do you love it or loathe it?). This literally gives the content a timeless impression. Visitors don’t know the content is a year old, and in theory, they shouldn’t need to. Others go so far as to republish their evergreen content, posting the same article that appeared before—a rather straightforward interpretation of repurposing content. If you decide to do this, it may be a good idea to reference that the content was originally published earlier and is being reposted because it is amazing. I have always found it helpful when authors explain the genesis of the posts I read, especially if they’re redos. Call attention to these posts on your site somewhere, as prominently as you are comfortable. Remember: This is your best work. It can be one of your go-to tools for attracting new readers and customers. 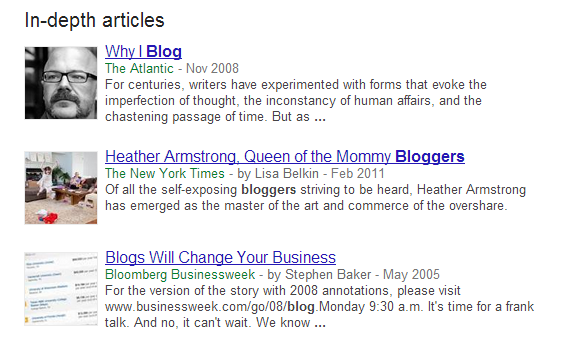 The art of internal linking is a topic that I cannot do justice with just one paragraph. Just know that linking to your evergreen content from within regular blog posts and other places on your site is good for building traffic, promoting pages, and boosting SEO. We aim to link internally to 10 to 12 different Buffer articles within each post here on our blog. With new emphases on longform writing and in-depth articles (with a boost from Google), evergreen content is now more valuable than ever. Creating definitive articles and resources on topics that are relevant to your audience can be huge for driving traffic and conversion, and your arsenal of timeless posts are ideal for sharing on social media. Evergreen content ensures you always have something to share. Who wouldn’t want that? What kind of evergreen content do you find yourself always coming back to? What has worked wonders for you on your blog? I’d love to hear your success stories, your experiments, and your thoughts! P.S. If you liked this post, you might also like The Ideal Length of All Online Content and The Ultimate Guide to Repurposing Content: 12 Ways to Extend the Life of Every Article You Write. Image credits: Honor Photo Bar, Moz.com.